Elvis Presley performing in 1956. Elvis Presley in the mid-1950s, before he became a fully-known national rock ’n roll star, was constantly on the road. During 1955 and 1956, Elvis and his band performed widely, especially in the south, making numerous personal appearances, from high schools to county fairs. His 1955 itinerary, reprinted below, reveals an unyielding schedule of nearly daily performances. Elvis and his band were a hard-working, ever-on-the-move group of performers. 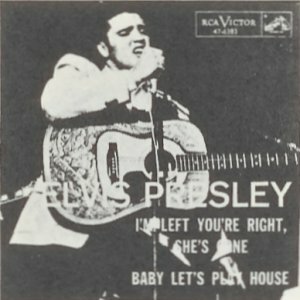 Still, at the time, Presley was essentially a regional phenomenon, known primarily in the south. Elvis would not appear on national television until January 1956 — first on The Dorsey Brothers Stage Show, and later in September 1956, on the Ed Sullivan Show. 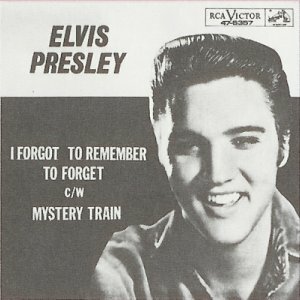 Although he would have great success with RCA Records in 1956, it was his August 1955 release of “I Forgot To Remember To Forget” with Sun Studios of Memphis, Tennessee that first made Elvis a nationally-known country music star. That single, which also had “Mystery Train” on its B side, rose to No. 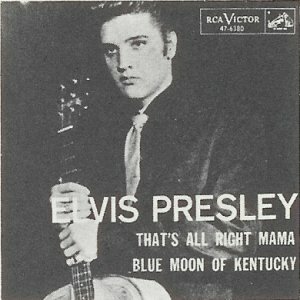 1 on the Country & Western charts in February 1956. A young Elvis Presley performing, early 1950s. Elvis Presley’s first No. 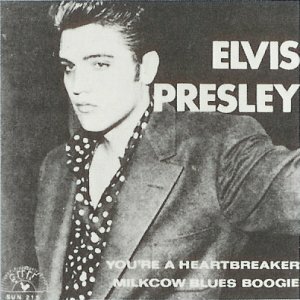 1 pop hit on the Billboard charts, “Heartbreak Hotel,” came on May 3rd, 1956. A month earlier he had performed the song on The Milton Berle Show on national TV with an estimated 25 percent of the U.S. population watching. By then he had moved to RCA Records. Yet in 1955, before the first crush of national fame, Elvis and his band were mostly on the road, also doing radio shows and some regional television, such as Louisiana Hayride. His 1955 schedule was truly grueling, and 1956 was similar, plus more recording sessions. The torrid pace did take a toll. On February 23rd, 1956, after a performance in Jacksonville, Florida, Presley collapsed from exhaustion and was rushed to a hospital. He was 21 years old. What follows below is the 1955 day-by-day performance itinerary of Elvis Presley and his band as they traveled across the U.S.A., with location and venue listed in most cases. 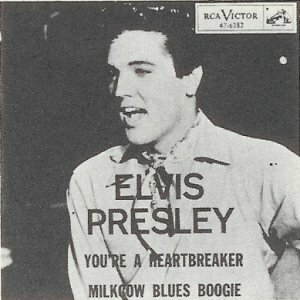 The series of “record sleeves” shown in the right-hand column are mostly bootleg editions — i.e., composites made by fans in later years using the RCA and Sun logos with Elvis photos from the 1950s. 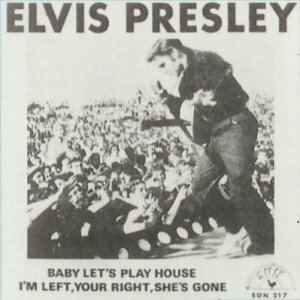 They are used here only as photographic illustrations to accompany the issue date of the 1955 Elvis songs indicated. However, for those interested, links to Amazon digital versions of the “A” songs are offered with some of these images. Elvis songs released by Sun Records, January 1955. Record sleeve is a bootleg edition. Click for digital single. Promoter “Colonel” Tom Parker first takes notice of Presley’s name after Texarkana DJ “Uncle Dudley” reports on the crowd frenzy at Elvis’ January 11, 1955 show. Elvis songs released by Sun Records, April 1955. Record sleeve is a bootleg edition. Click for digital single. On March 23rd, 1955, Elvis and his band auditioned for Arthur Godfrey’s Talent Scouts show in New York but were rejected. Elvis songs released by Sun Records, August 1955. Record sleeve is a bootleg edition. Click for digital single. At the Jacksonville, Florida show on May 13, 1955, Elvis tells the girls in the 14,000-plus crowd that he’ll “see [them] backstage,” causing a riot. The incident convinces Colonel Parker about Elvis’ popularity. July 31, 1955. Elvis during concert at Tampa, FL’s Ft. Homer Hesterly Armory. (Photo, William ‘Red’ Robertson). Elvis songs released by RCA Records, Dec 1955. Record sleeve is a bootleg edition. Click for digital single. By late summer 1955, Colonel Parker had taken control of Presley’s career. 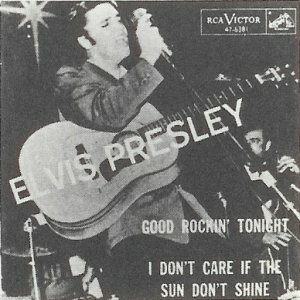 On Nov. 21st he negotiated a deal with RCA to acquire Elvis’ Sun Studios contract for $35,000 (roughly $275,000 in 2007). 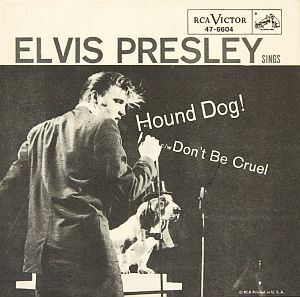 Actual RCA record sleeve for “Hound Dog/ Don’t Be Cruel” single of July 1956, with Alfred Wertheimer photo of Elvis singing to a hound dog on ‘The Steve Allen Show’ of July 1st. 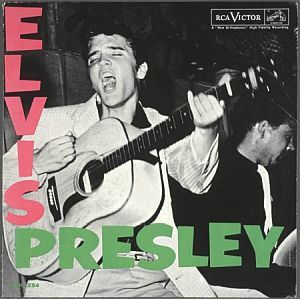 Elvis Presley's self-titled debut album hit No. 1 on Billboard, May 7, 1956 -- the first rock ’n roll album to do so. The album’s image is also credited by some as helping to make the guitar “the defining instrument of rock ’n roll”. Click for CD. 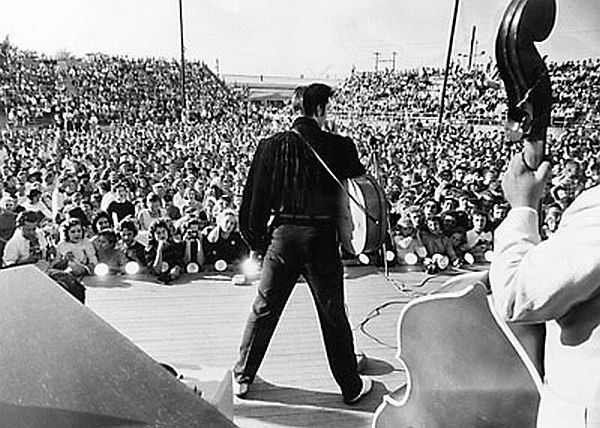 Elvis performing before capacity crowd at the Mississippi-Alabama Fairgrounds, Tupelo, MS, September 26, 1956. Click for framed, two-photo collage of Elvis - 1 performing, 1 portrait – plus listing of all No. 1 hits. 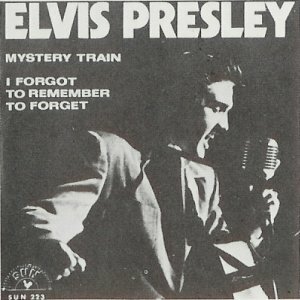 A 45 rpm single of Elvis Presley’s August 1955 Sun Studios recording of 'I Forgot To Remember To Forget,' the song that first made Elvis a nationally-known country music star, prior to his popular rock ’n roll fame. 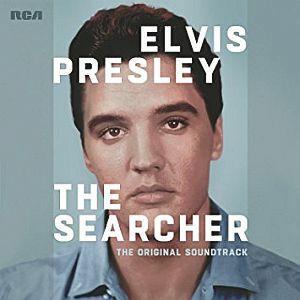 Album cover for the 3-disc RCA soundtrack for the April 2018 HBO documentary, “Elvis Presley: The Searcher”. Hank Bordowitz, Turning Points in Rock and Roll, Citadel Press,2004. Peter Guralnick, “Elvis Presley,” in Anthony De Curtis and James Henke (eds), The Rolling Stone Illustrated History of Rock & Roll, Random House, New York, 1992, pp. 21-36. 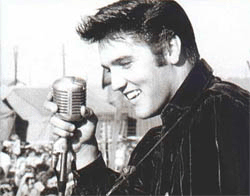 Robert Fontenot, “Your Guide to Oldies Music–The History of Elvis: 1955,” About. com. Elvis discography and record sleeves, Sergent. com.au. “Teeners’ Hero,”Time, May 14, 1956. “Sweet Music,” Time, October 8, 1956. Louis M. Kohlmeier, Wall Street Journal, (front-page story on Elvis), December 31, 1956. Stephen Holden, “Pop View; a Hillbilly Who Wove a Rock-and-Roll Spell,” The New York Times, July 19, 1987. “Elvis Presley,” in Holly George-Warren and Patricia Romanowski (eds), The Rolling Stone Encyclopedia of Rock & Roll, Rolling Stone Press, New York, 3rd Edition, 2001, pp. 774-778. 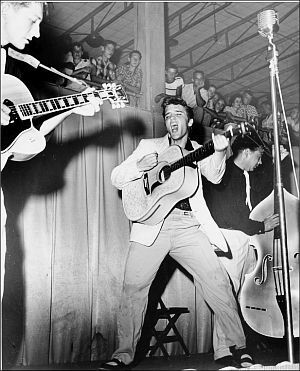 Jack Doyle, “Elvis Riles Florida, 1955-56″ (Elvis & band perform at Florida Theater in Jacksonville; faces arrest if he “gyrates” too suggestively), PopHistoryDig.com, February 29, 2012. Jack Doyle, “Drew Pearson on Elvis, 1956” (video), PopHistoryDig.com, February 1, 2013 (famous columnist “commentary” on Elvis meant to be critical but still captures his rise to fame…). For a more detailed look at Elvis Presley performances and other activities in the 1953-55 period see, Elvis Presley Music .com. Greg Williams, “Forever Elvis,” Tampa Tribune, originally published, August 16, 2002. Ace Collins, Untold Gold: The Stories Behind Elvis’s #1 Hits, Chicago Review Press, 2005.